Express yourself, the Nordic way! Completed Swedish Level I or be able to ask simple questions, make brief statements and write basic sentences in Swedish. If you need help with assessment, please contact us at info@nordiclanguagesinitiative.com. This course focuses on further developing the fundamentals of the language. The course will continue to build vocabulary and sentence structure. It will also put additional emphasis on grammar. Facts about Sweden will provide a meaningful and productive way of learning the language. There will be many opportunities to practice pronunciation by communicating in small groups. Our classes take place at a central location in Toronto, Ontario Canada near public transportation (normally by a TTC subway or streetcar). Information about classroom location will be sent to registered and paid students prior to the start of class through e-mail. 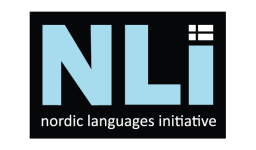 Any questions, please contact us at info@nordiclanguagesinitiative.com. You can also be added to our mailing list here for the next registration period, future promotions and other events! Before registering, view our Refund and Cancellation Policy. Our schedule isn’t fixed yet, but more than likely, the Swedish class will be from 6-8pm either on Tuesday, Wednesday or Thursday evenings. Hope this helps you plan accordingly.